In Shibuya (in Tokyo), I went to Tokyu Hands, a giant 7-story lifestyle store—like Target and Bed Bath and Beyond and A.C. Moore combined. 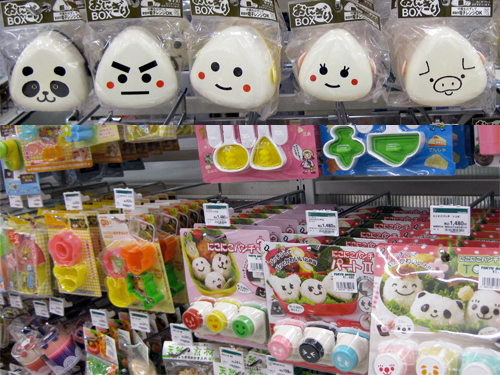 They have a whole aisle of implements for basically playing with your rice: cutting out and molding shapes, adding decorative flourishes, etc. 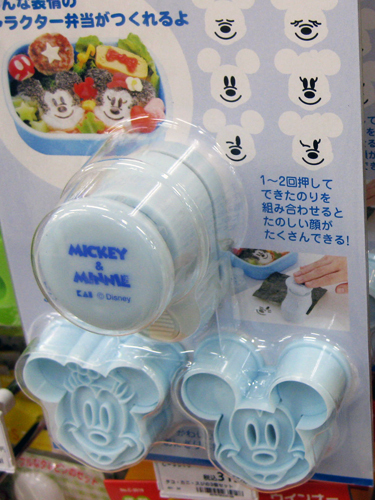 You can have Mickey and Minnie-shaped onigiri (with varying facial expressions, no less)! 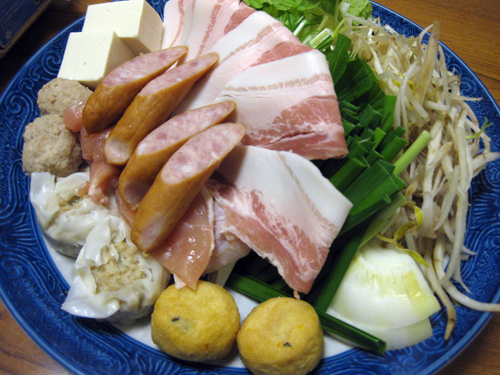 We went for nabe in Kyoto—it’s like hot pot, although our hostel owner laughed at me when I said that, so maybe not? There’s a portable stove on the table, you start by bringing some broth to boil, and then you can add the raw ingredients yourself. 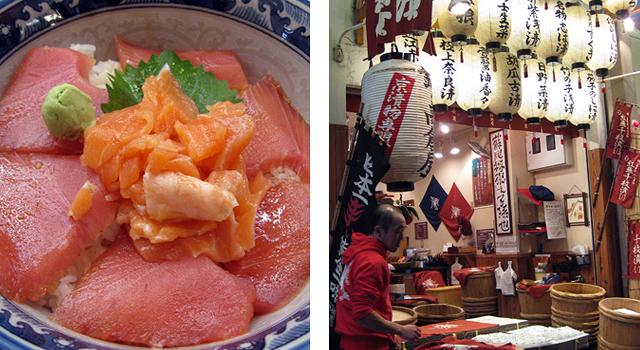 Nishiki Food Market in Kyoto—smaller than I expected, but definitely worth a visit. 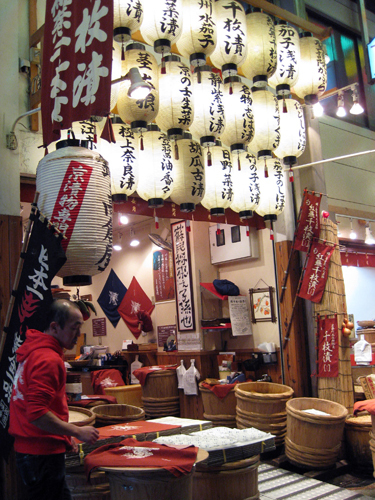 Fresh seafood stalls are side by side with tea sweet vendors and artists selling prints and ceramics. 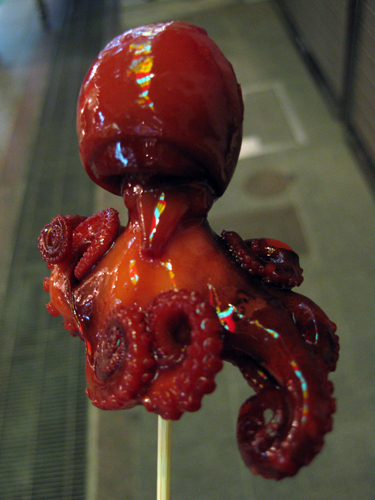 I tried this octopus-on-a-stick snack at Nishiki Market. 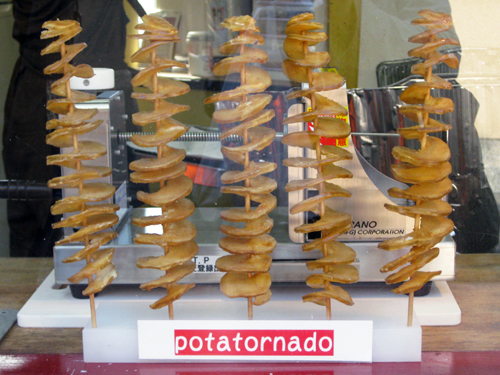 I know it looks…unfortunate, but it was really good! There’s a quail egg stuck in the octopus head. Didn’t actually get to taste this one, but the name is genius. 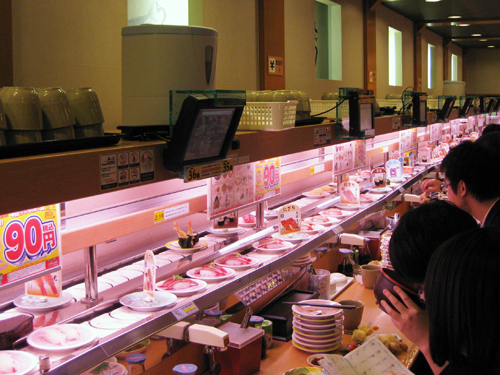 Conveyor belt sushi at Kappa in Kyoto! 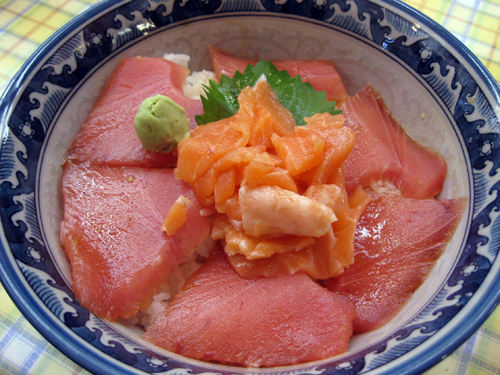 I had never eaten raw fish before I went to Japan (although I like eel rolls and I looove smoked salmon), and I’m really glad I tried it and had so many opportunities to eat really good sushi. 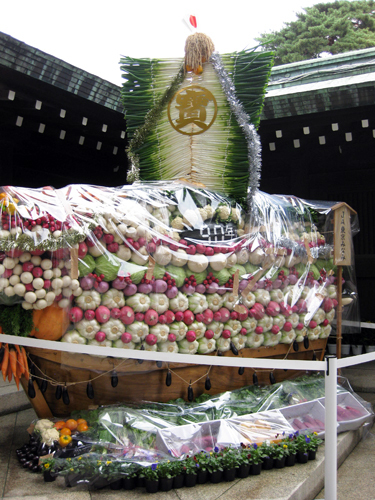 Although, sad grocery store sushi is just not going to cut it anymore. 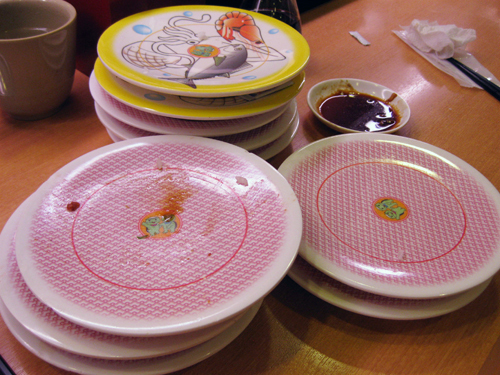 Our plates afterward—all of this cost $10 each, for 2 people. It was a feast! 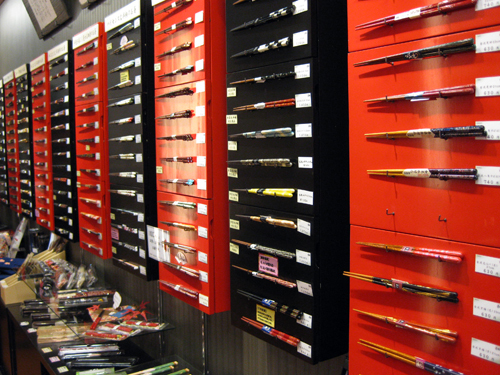 A store selling only chopsticks, glorious chopsticks. Spending $35 on a pair of chopsticks is difficult to justify, though.